Lacrosse both indoor (box) and outdoor (field). I played it at school and progressed from there. 3 weights sessions a week: upper, lower and full doing combinations of power and strength sets. Tempo running and hill sprints. Eating lots of protein! How long have you been a member at Train Together? How has Train Together helped you? 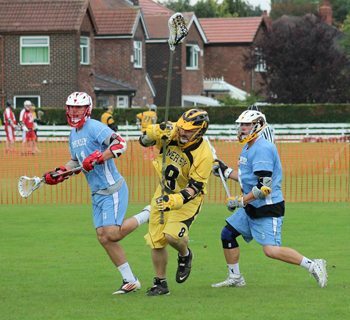 I had dropped out of playing international lacrosse due to other commitments such as family, time, work, getting old and injuries. I had not trained for about 3 years and had got really out of shape so I joined Train Together as it is just around the corner from work. I started just doing a few classes a week at lunch. Over a couple of months I was getting fitter and improving my range of motion and I was given the opportunity to try out for England again. So I stepped up the number of training sessions I was doing each week at Train Together. Then the opportunity to do Train Together’s Muscle Up Course came up. 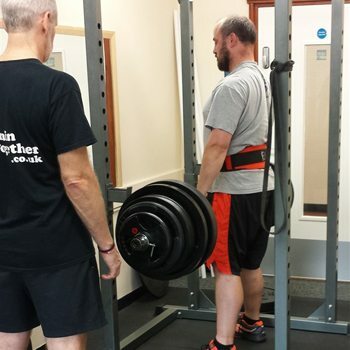 This really accelerated my training and in 14 weeks it made a massive difference to my strength as well as a reduction in body fat. 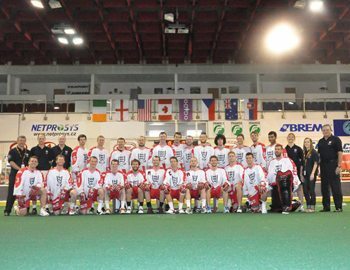 I tried out and made it through the selection process and have now been selected for the final squad to travel to Canada to represent England. This would not have been possible to get to this stage without the initial work done at Train Together. What do you like about Train Together? The individual attention and there is a family feel to the place with the instructors and other clients. Why do you prefer Train Together to other gyms in town? It is a really nice place to train and the staff genuinely care about your targets.